Check below pages for more information on Company, Trainers & Course content. To know the cost of the training please contact us using this link or drop us an email at [email protected]. Attendees must know the basics commands of any Linux-based operating systems. Preferably Ubuntu 16.04 LTS. Attendees must bring their own laptop with at least 4 GB RAM. Any Operating Systems will work. For classroom training Internet & power will be provided by us. All the softwares are very small in size and can be downloaded during the training. You don’t have to pre-download or install the software. Installation instructions will be provided in the training. To know the cost of the training please contact us using this link or drop us an email at hello[email protected]. 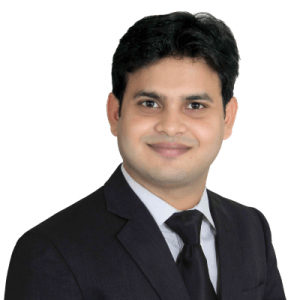 Toshendra is a founder & CEO at RecordsKeeper, a Blockchain-based record keeping solution for businesses & individuals. 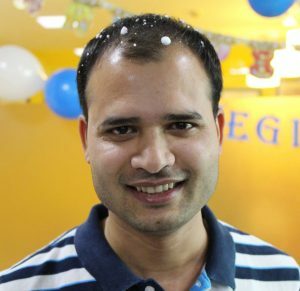 Earlier he founded Appvigil (Wegilant) in Nov 2011 along with pursuing my Masters in Application Security from IIT Bombay, India. Appvigil is the Mobile App Security Scanner on Cloud. Appvigil also offers security audit services for mobile devices and applications, and compliance with IT regulations. He was heading the team as Chief Executive Officer. The company has won NASSCOM Emerge 50 Award 2014 one of the biggest awards in India. The company also got incubation in IIT Bombay’s Business Incubator SINE in August 2013. During Wegilant & before that, he has trained 15000+ students in 5+ years across various college & offices in India. He has also written a book on AVR Micro-controller with the name “Robotics with AVR”. He is the part of Forbes India 30Under30 List of 2016 in Technology space. Rohendra had led Appvigil’s 16+ people team as VP-Engineering and architect the whole solution on AWS in a highly scalable way. We were performing 10,000 memory intensive vulnerability scans per hour without getting crashed. Rohendra has also led the Architect team in TCS for multiple projects. Rohendra is known for faster & highly scalable product development on AWS & can solve any problem using technology. In real Life, what is Blockchain? Storage, Server, Cloud or Tech? 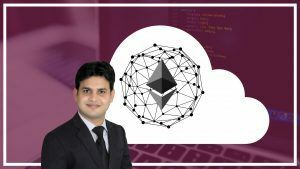 How do Smart Contract works? When to Use a Blockchain? What are the services inside BaaS? Testing our own cryptocurrency, Executing transfer etc.